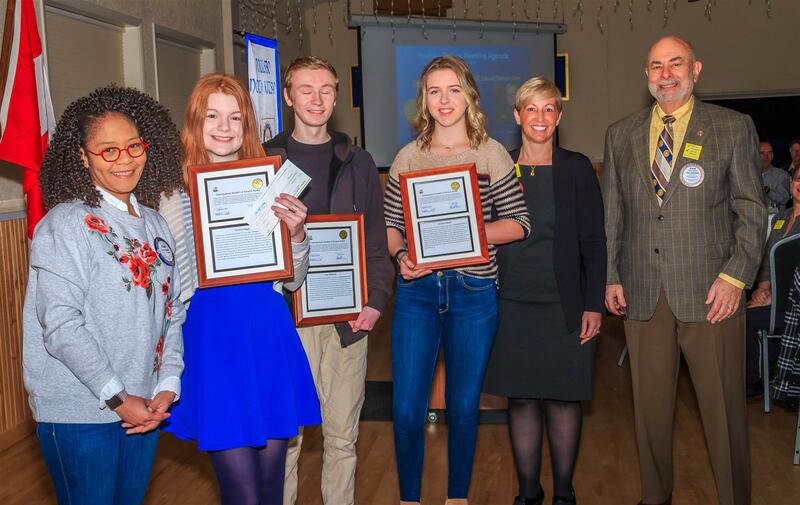 Area students who have demonstrated a commitment to both scholarship and community service become eligible for the Rotary Distinguished Student of Service award. Pictured here are this year’s winners: Geneva Newell; Emma Hicks and Joey Martinette. Each winner received a $100 check that they can use any way they wish – no strings attached!